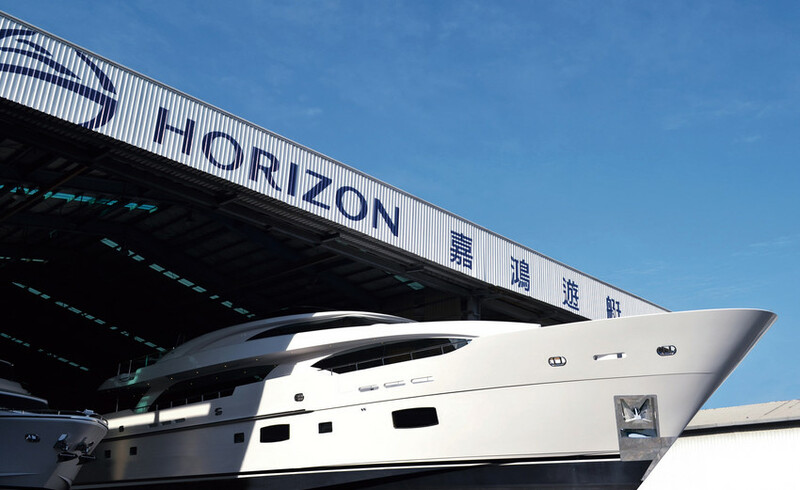 Horizon Yacht, the parent company of Horizon Group, was co-founded in 1987 by CEO John Lu, Mr. Gong Shan Chiai, and Mr. Cheng Shun Hui in Kaohsiung, Taiwan. A naval architect by training, Lu’s mission was clear and remains unchanged to this day: To build the ultimate dream yachts for his clients. Through the years, Lu has proved himself a visionary in the yachting industry – in 1993 he recognized a demand for high-value megayachts and began building yachts over 80 feet (24M). When the Horizon factory encountered limits on production scale, Lu focused on increased production capacity through specialized processes and improving product quality. From 2000 to 2005 he restructured Horizon’s other three companies – Atech Composites, Vision Yachts and Premier Yacht – and assigned each its own build concentration. Atech Composite Company specializes in composite engineering and builds yacht hulls and superstructures with Horizon’s VARTM (Vacuum Assisted Resin Transfer Molding) resin infusion process. Vision Yachts builds yachts ranging from 52 to 80 feet (15-24M) and Premier Yacht provides yacht maintenance and refit and repair services for 100ft-plus (30M ) yachts. The original Horizon Yacht company was also redeveloped to build a more comprehensive range of yachts. Lu then formed Horizon Group as the cohesive organization that interconnects the four companies and allows for the exchange of ideas and resources. In 2013, Horizon began to provide yacht care, maintenance and refit service for 100 feet (30M ) superyachts. The new business also included developing a world-class luxury yacht marina—Horizon City Marina and investing in yacht club to promote the yachting lifestyle in Taiwan. Since its inception in 1987, Horizon has emerged as the leading Asian yacht brand in the luxury yacht market and is known throughout the industry for its sophisticated craftsmanship, superior build techniques, and innovative technology. Horizon Group contributes to one-third of Taiwan’s total yacht exports and has elevated the country as one of the world’s top five luxury megayacht-building nations. Horizon has been honored as “Best Asian Motor Yacht Builder”13 years in a row, is recognized as one of the Top 10 Global Superyacht Companies by The Superyacht Report, and is the first and only member of SYBAss (Superyacht Builder's Association) from the Far East.